One of the earliest stories I read in my formative years learning about the NFL was on YA Tittle. A member of the Pro Football Hall of Fame, he was celebrated for his effort in trying to obtain an NFL title but never did. He was a part of the legendary Million Dollar Backfield in San Francisco where he teamed with Hugh McElhenny, Joe “The Jet” Perry, and John Henry Johnson. The first complete backfield to make the Hall of Fame ad we’re talking all four players. Tittle as a member of The Million Dollar Backfield. Tittle quarterbacked the San Francisco 49ers throughout the 1950s but couldn’t overcome the Los Angeles Rams and the Detroit Lions in the Western Conference to play in the NFL Championship game. The most glaring was the 1957 season where they finished 8-4 and in a tie with the Lions. Detroit was the vanguard of the West having played in 3 title games in the previous 5 years, winning 2. Tittle had a career year completing 63% of his passes while throwing for 2,157 yards and 13 TDs on the season. 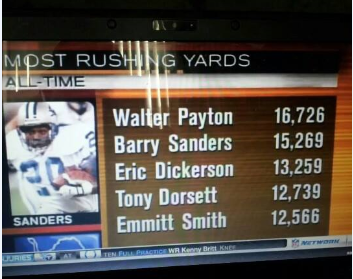 He also rushed for 220 yards and 6 scores. Hosting the playoff game with Detroit in old Kezar Stadium, Tittle and the 49ers took a commanding 27-7 lead in the 3rd quarter. In many accounts the 49ers thought the game was over. They became victims as the Lions roared back to win 31-27. Over the next few years the Baltimore Colts emerged as the best of the west and the 49ers were broken up. Tittle and McElhenny wound up in New York with the Giants who were afflicted with not fulfilling the promise of winning an NFL championship. They won in 1956 on the broad shoulders of Tom Landry’s defense. 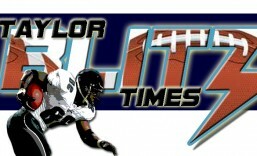 However they came up short in 1958 and 1959 in championship losses to Baltimore. In truth, the offense with Charlie Connerly, Frank Gifford, and Alex Webster had let them down. Although Tittle was in the twilight of his career he would be an upgrade at quarterback and aid an aging yet still formidable defense. Over the next 3 years, Tittle took the Giant offense to greatness. In 1962, he broke Johnny Unitas’ single season touchdown record of 32, throwing for 33. He had never thrown for more than 20 in a season. He broke it the following year when he threw for 36, along with George Blanda over in the AFL, that stood until Dan Marino eclipsed it in 1984. Which was several NFL generations later. Tittle was the most productive in his career at 37 years of age. All he had to do was win the NFL championship to cement his legacy. The name that comes to mind when it comes to quarterback – John Constantine Unitas… I can’t remember hearing his complete name for the first time, but feel it needs to be brought up for the fans who need to know the greatness of this man. So glad they finished the documentary in 1999 before he passed. An old school American hero. The best ever quarterback conversation has this man’s name in it. Not Peyton Manning and Tom Brady where all the rules have been changed to manufacture what looks like greatness. Unitas! Pictured in Baltimore’s Memorial Stadium one last time. At the time of Unitas retirement, he held the record for passing yards (40,239) & touchdown passes (290). He was the first NFL quarterback to throw for 3,000 yards in 1960 and once held the record for TD passes in a 12 game season with 32. In an era where the NFL game was rooted in the ground, Unitas took to the air where purists scoffed he was ruining the game. Through it all he raised quarterbacking to an art form by the way he played, his play calling ability, and field generalship in leading the Baltimore Colts. In fact, it was Unitas that invented the 2 minute drill in the most important game in NFL history…. the 1958 NFL Championship. The ’58 NFL Championship ignited the passion for pro football for the masses as it overtook baseball for America’s heart. Lamar Hunt after this game decided to start the American Football League on the heels of this game’s popularity. A sense of irony between the AFL and Unitas’ would come to the fore later. Yet it was Unitas that became a superstar. Football had been booming with television in the 1950’s and it culminated with his championship heroics. For an encore, when all eyes were upon him, he had his greatest season in 1959. Johnny U went 193 of 367 (52.6%) for 2,899 yards 32 touchdowns to just 14 interceptions in leading the Colts to a 2nd consecutive championship. By the way for those keeping score, this was in a 12 game season and the yardage and touchdowns were NFL records at the time. At the pace he was on, had it been a 16 game season, he would have thrown for 42 touchdowns. This was in an era where his receivers were hit everywhere on the field not just within a 5 yard contact zone. Legacy cemented. His 47 straight games with a touchdown pass stood for nearly 50 years. After 40 of those years no one had come within 18 of that record. Drew Bees finally broke it because of all the rule changes…but if you dared to say Brees is in league with Unitas, you and I can’t talk football anymore. 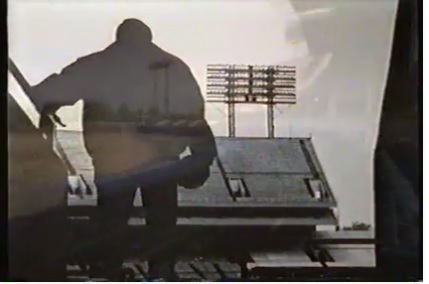 A final look back at his jersey retirement at Baltimore’s Memorial Stadium in 1977. In watching the HBO documentary Unitas is where I first learned the plight of former players fighting for benefits from the NFL. When the elbow injury came up I immediately yelled out “1968!” That was the year he tore the tendons that attached the lower and upper arm, causing him to sit out the season and the late Earl Morrall played in his absence. 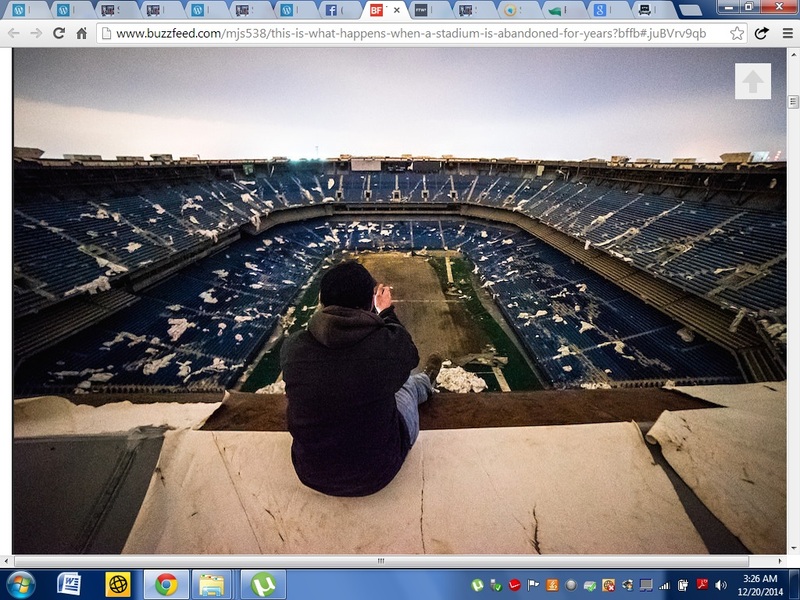 They wound up losing Super Bowl III. 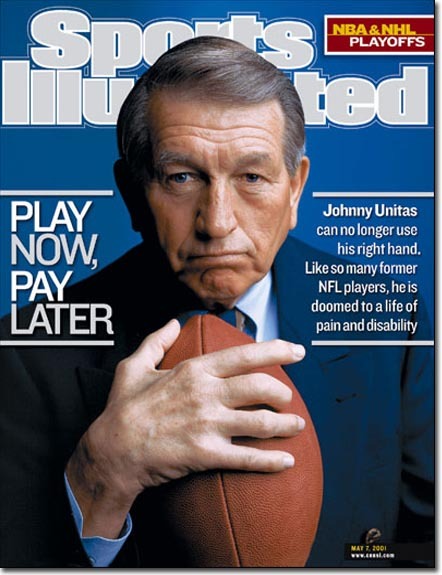 Unitas wound up losing the ability to fully use the right hand that made the NFL what it is today. Not only was that a travesty but the anger that swelled in me is why I back all the former player’s groups, Footballer’s Wives, Dignity After Football, and Gridiron Greats to this day. Sports Illustated cover featuring Johnny U. Whenever the mantle of greatness at the quarterback position is cheaply thrown around, as a historian I bristle. What would Unitas accomplish playing in the rules set up today?? How much greater would he have become training all year around like today’s players?? What would his stats look like if he played where he could hardly be hit?? He dwarfs all quarterbacks without the changes. With them he would have left marks that quarterbacks would still be chasing. 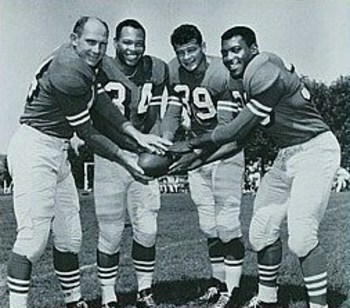 Unitas and his receivers, Lenny Moore, and Raymond Berry all made it into the Pro Football Hall of Fame. The next time someone mentions greatest ever quarterbacks, start with Unitas and work your way down. 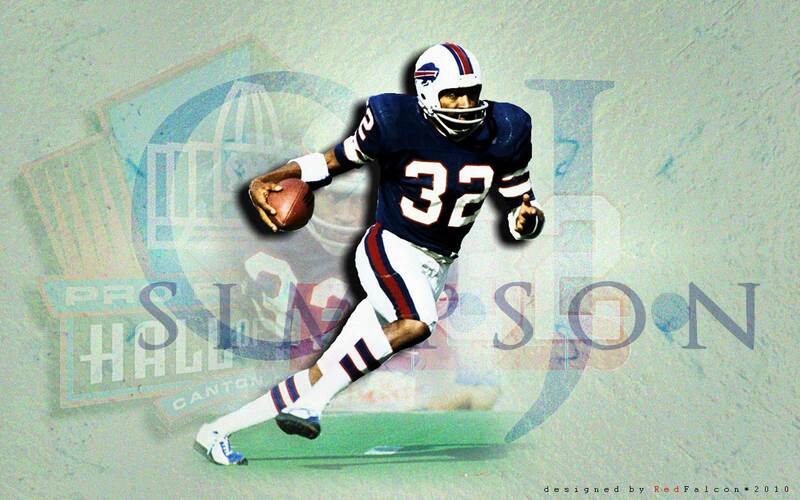 There is no more polarizing name in the history of the NFL than that of OJ Simpson. Once upon a time he was the greatest halfback in the history of professional football. A former Heisman Trophy winner from USC who was drafted #1 by the AFL’s Buffalo Bills in 1969. He restored respectability to a once great franchise. OJ Simpson…an all time great runner. Yet he is known now more for the events that transpired June 12, 1994 and the subsequent trial of the century. Simpson’s was a tragic fall and one we’ll get into later. Right now we want to focus on his previous life as the most electrifying running back the NFL had ever seen. One interesting note is he finished his career with 11,236 yards rushing, or 1,076 yards short of then all time rushing champion Jim Brown. Head coach John Rauch, who had been fired by Al Davis in Oakland, wanted to prove his genius and played OJ at wingback. So for his first three years he played in a position he was primarily misused until Rauch was replaced by incoming Bills coach Lou Saban. Finally freed to play tailback as he had at USC, Simpson grabbed the imagination of NFL fans everywhere. He broke breath taking runs. His impromptu style brought shoulder fakes and make ’em miss moves that the casual fan could identify with. To watch him battle against defenses that feared the big play element he brought to bare was a thing of beauty. He was the prototype to the bigger half back at 220lbs that had the speed to break the big play. Although he burst into the nation’s consciousness with 1,251 yards in 1972, it was his legendary 1973 season that he became an all time classic. His 2,003 yard season was marveled at, lionized, and written about ad nauseum for eclipsing a number no one thought possible. He did this in a 14 game season and raised the bar in an era where great backs got the ball 30 times a game. Against the Steel Curtain in 1975, by the way #9 on our list of Greatest Ever Defenses, Simpson crushed ’em for 227 yards in Three Rivers Stadium no less. This was great considering he was within 24 yards of the all time single game rushing record. By the way he held that record also with a 250 yard rushing performance against the Patriots in 1973. Then he broke that record with a 273 yard performance against Detroit Thanksgiving 1976. By this time the wear and tear began to erode his skill and ability to cut and change direction. Multiple knee surgeries followed an injury plagued 1977 where “The Juice” played in only 7 regular season games. He was dealt to his hometown San Francisco 49ers where he finished out his career. As the 1979 season came to it’s conclusion, it was time for OJ to say goodbye to the game. NFL Films named Simpson pro football’s hero of the decade. Think about that a second. Not Roger Staubach…not Terry Bradshaw… OJ was their choice and it was a logical one. His feats scaled the record books and he had gone where no other runner had gone before. He only played in one playoff game during his career, yet Pete Rozelle made sure he had primetime games to showcase his talents. 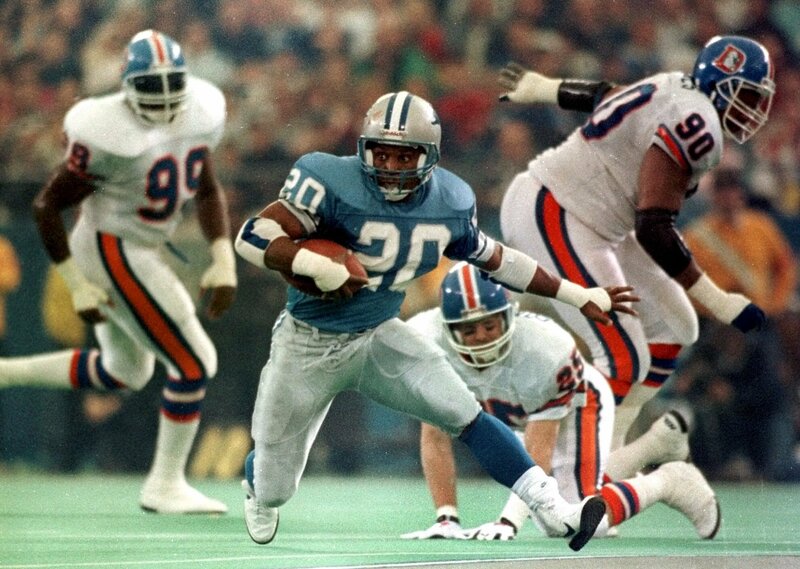 OJ Simpson….one of the best runners and greatest players in NFL history. Epilogue: Once the events that took place on June 12, 1994, with the murder of Ron Goldman and Nicole Brown Simpson, it threw every Bills fan in a weird place. To see his descent into this tragic figure ripped our hearts out. It happened right after the Bills had lost our 4th straight Super Bowl in which he was a part of each NBC telecast. Regardless what you think of him now, I wanted to put up an article featuring what he once was. 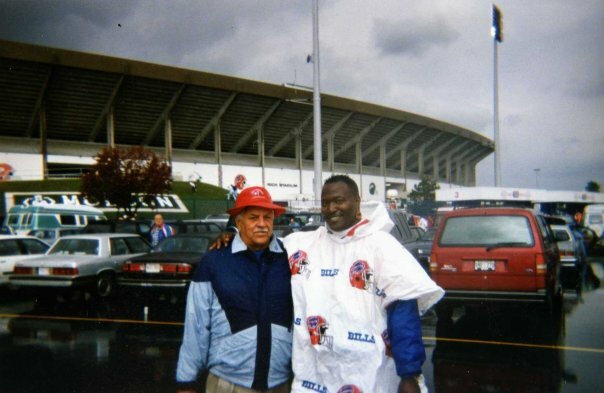 He left an impression on me as a young fan and why I’m still a Buffalo Bill fan to this day. I can remember going to Rich Stadium, named after the late Ralph Wilson now, and asking where his name was on the ring of fame. That was Sept. 22, 1996 when Buffalo was hosting the Dallas Cowboys, so the emotions were still raw. Especially among the season ticket holders where I sat. So here it is, 18 years to the day later and as The Chancellor of Football thinking back to that day. Which had a mixed set of emotions as it always does now when OJ’s name is brought up. I remember when the late Tim Russert of Meet The Press fame, spoke of seeing his bust at the Pro Football Hall of Fame the first time after the double murders. His expression was much the same as I would suspect with every other Bills fan. Many people remember it as the murder and court case of the 20th century. No one outside of Bills fans think of it as the fall of a franchise’s greatest player. We live with that more than the 4 Super Bowl losses in the 1990s. Don’t forget…they happened at the same time.